Our Grade II listed building can be found at the junction of Waverley Road and St. Ronans Road, Southsea. 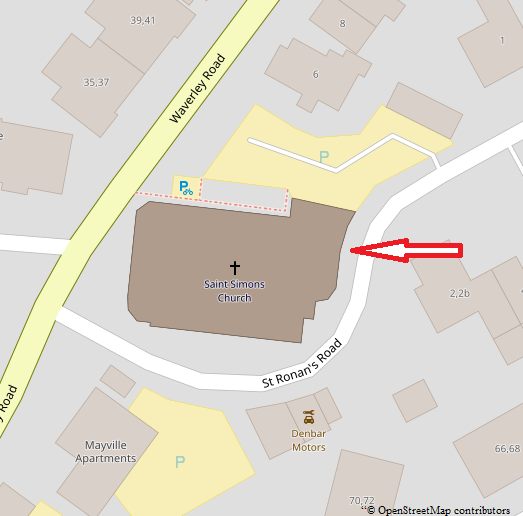 The postcode is PO5 2PW but note that satnavs and online maps do not always locate the church accurately. Click here for a map of the local area. Click here for a map showing the parish boundaries. You can telephone our Church Administrator on 023 9282 9440. The church office is open 10 am (often earlier) to 12 midday Monday-Friday excluding public holidays.